According to ComScore, at the end of March 2011 there were over 72.5 million US smartphone users, an increase of 15% from the prior 3 months. Over 62% of smartphone users have purchased something online, nearly a third of 25-34 year old users "check-in", over 68% text and 39% search the web - all using smartphones. 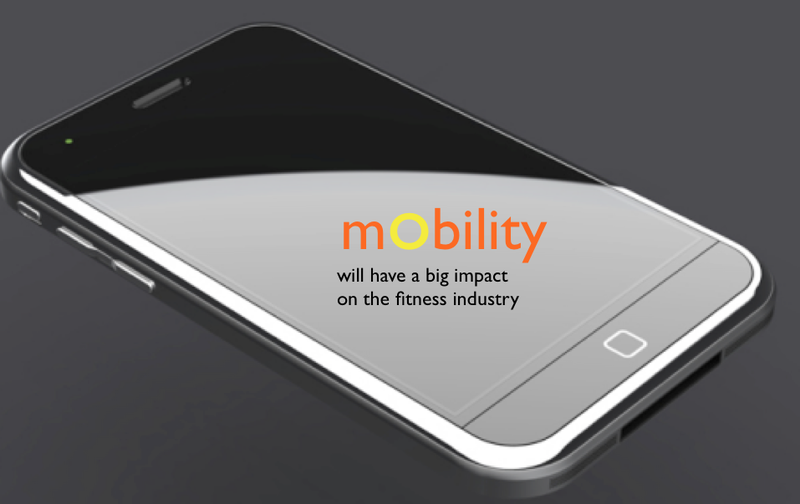 Mobility is revolutionizing business and the fitness industry and health clubs are not immune. Watch the video below from MOCOM2020 to learn more and tell me, Bryan O'Rourke, what do you think is going to result from the mobile revolution ? How is the fitness industry going to be impacted and what do you think health clubs are going to do to leverage these technologies now and in the future ? I'll be sharing these views in an upcoming Gold's Gym Franchise Association webinar in June . Check it out !